The ability to collect user generated content by location has important functions for brands, organizations, and event professionals. Being able to view the conversations of real people at a certain location in real time enables all types of engagement opportunities that didn't exist before. Using a modern social media aggregator with powerful geofilters makes this extremely simple. This is something we've been innovating around and fine tuning at Spotlyte for quite some time now. It's important to realize the benefits and drawbacks of each, and which is most suitable for any particular situation. Aggregating content by an address requires that you know the specific address of a location you want to track. Furthermore, sometimes this can be tricky as different social networks and content services don't always use the same address scheme for a location. This can sometimes lead to messy and hard to reconcile issues such as why "100 Main Ave" isn't giving you content whereas "100 Main" is. Typically most social networks also operate by searching a certain diameter around a location or address, so in this case even though you might specify a specific address you'll end up receiving content that's within the boundary. This can lead to often lots of noise and unwanted content. Location based tracking based on coordinates can be a powerful way to track around a point on a map especially if the location doesn't map to a physical address. With the increased flexibility of just specifying any point on a map, comes the same boundary issues as with an Address based filter. A coordinate based system also depends on the source social network saving its content by coordinates. Twitter, Instagram, and Facebook provide this to an extent. Although Twitter and Instagram have designed their app to be more Location friendly when posting content, so user's are more inclined to tag their location as they post. There's also tracking directly by a defined location as specified in the App itself. The main benefit to this scheme is that in Instagram and Twitter, these locations are typically pre-filled for the user based on their location. So it's a more natural and even accurate form of geo tracking without ending up with a lot of unwanted noise that you then have to filter out. In terms of granularity, you can have locations that are an entire city based, down to a particular restaurant location. So there is flexibility in terms of the scope of the location you want to track. The drawback of course is that each social network typically maps their Location IDs differently, so there isn't an underlying coordinate or address that you could specify that would apply across all networks. This just requires that you know the ID mapping from a social network for the location you want to track. The short video how-to below demonstrates how to track content based off a specific Location identified by Instagram. Geofencing is a technique which typically involves drawing an area around a map to collect posts. It gives you the fine grained control to define the exact region where you want to monitor content, including drawing and defining odd shapes. It's particularly powerful for news organizations or authorities to identify trending topics in a particular neighborhood. Again, this depends on the source network providing coordinate information in posts which isn't always guaranteed. Although apps like Twitter and Instagram are making it simpler to include your location by default when you post content, it's still not as common to see posts with location information. 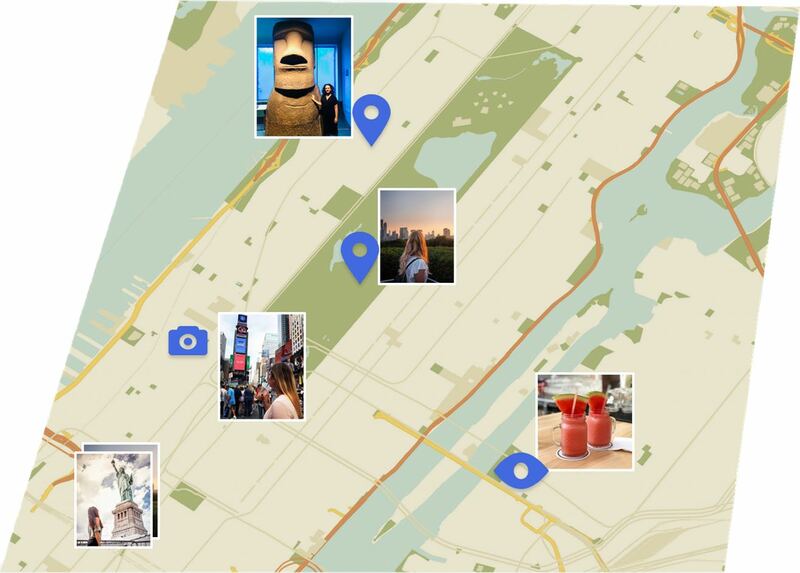 A study in 2015 found that a whopping 91% of social posts were missing location information. But as apps mature and location information becomes more prevalent, the use of location based social trackers will become a more vital part to your team's strategy. Location based social media aggregation is a valuable tool in your marketing toolbox. Let us know what marketing campaigns you've considered that require collecting social media around a location.